Escaping the “melting concrete armpit” of Manhattan is what many New Yorkers will be dreaming of in the infernal months ahead. When the tarmac starts to gleam and descending to the subway becomes a Dantean prospect, a couple of weeks in a Mallorcan villa sounds like just the ticket. You’re in luck! 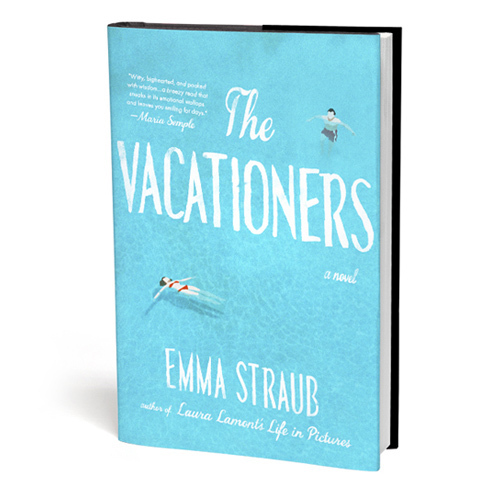 Open Emma Straub’s The Vacationers (Riverhead Books, 2014), and that’s exactly where you’ll find yourself. As elder son Bobby observes, “The Posts were masters of self-delusion, all of them”. But in Straub’s second novel it is the fate of the Post family to have their eyes comprehensively de-wooled. The Mallorca trip was supposed to be a celebration of Jim and Franny’s thirty-five years of marriage, but in the wake of a seismic indiscretion on Jim’s part, that notion has come to seem like “a joke with a terrible punch line”. His career at a men’s lifestyle magazine called Gallant has recently come to an ignominious close after the revelation of an affair with a twenty-three-year-old editorial assistant called Madison. Franny, herself a successful journalist and writer, is devastated. In addition to the prospect of losing her husband, her younger child, Sylvia, is set to depart for college in the fall, leaving their Upper West Side apartment empty of children for the first time in nearly thirty years. It’s not a happy family that jets off to Spain in the novel’s opening pages. To complicate matters, no one’s told Bobby about Madison. And it turns out, when he rocks up a day later with girlfriend Carmen, that he’s not been entirely straight about his own situation. Having fallen on hard times in the bear pit of Floridian real estate, he’s somehow managed to rack up more than a hundred and fifty grand of debt buying fitness shake powders wholesale. Providing an outsider’s perspective are Charles, a painter friend of Franny’s from way back, and his husband Lawrence, for whom the prospect of two weeks with the Posts is less than entirely delicious. Adding to Lawrence’s anxiety is the possibility of a call from an adoption agency back in New York telling them that their wait for a child is over. The stage is set, and what a beautiful one: “It was a child’s drawing of a house, a large square with an angled roof on top, colored in with some ancient terra-cotta crayon that made the whole thing radiate.” The swimming pool, kitchen and bedrooms of this travel-brochure house are the principal settings for Straub’s lovely comedy of manners. There’s something of a Much Ado vibe throughout, all overheard conversations and Mediterranean ebullience. Titillation arrives in the form of Sylvia’s Spanish tutor, Joan, whom she sets her sights on as an excellent candidate for her first sexual steps. And if you’re into culinary erotica, Franny’s quiches and tarts and Israeli couscous should keep you more than engaged. Straub has a light comic touch and a ton of compassion: each character is lit up from within by her warmth of feeling. Behind the comedy, though, is a serious meditation on the nature of family. As Straub observes late on, families are “nothing more than hope cast out in a wide net, everyone wanting only the best.” The Vacationers is about falling short of perfection and learning to make do. Can Jim and Franny weather his affair? Will Bobby’s extended adolescence prove too much for Carmen? The pressure-cooker set-up is well suited to bringing each of these tensions to the boil, and there’s no doubt at the end of the book that a little something has been learned by everyone. Straub manipulates an old structure with great dexterity, carefully postponing the moment when we see all her characters in a single wide shot before letting loose with a two-step sucker punch at the end of the second act. Without dropping too many spoilers, I can confirm that there’s at least one black eye by the end. Lawrence and Charles are important counterpoints to the Posts. Having had to wait so long to marry, and being forced to take a non-traditional route to parenthood, their approach to family has about it a more mature and nuanced character. Lawrence, perhaps the most thoughtful and best drawn character, has come to realise that “marriage meant sealing your fate with so many other people — the in-laws and the grandfathered-in friends of the bosom”. In other words, family — even the type we choose by marrying someone — is never a holiday. But as he and Charles set out on the pleasurable task of building a new kind of family, he does so with a generosity of spirit and maturity of observation that any child might hope for in a parent. If The Vacationers died and came back as something else, I reckon it’d be a tequila shot. There’s enough salt to upset the well-off characters in their glamorous surroundings; enough of a kick to elevate it above garden-variety “holiday” fiction; and a nice juicy wedge of lime to soften the afterglow. Time to wham up the air con, line up the shot glasses, and pretend you’re in Mallorca. 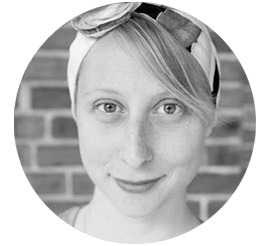 Emma Straub will appear at our next Seriously Entertaining show, Falling For Perfection, on June 23 at City Winery NYC. You can buy tickets here. If you like the sound of The Vacationers, you can take a dip in its warm waters on Medium, which has a splendid selection of excerpts, and buy your own copy at McNally Jackson. And do be sure to follow Emma on Twitter.